West on EAST SKY HARBOR heading toward TERMINAL 3. Take the ramp toward TERMINAL 4/44TH ST. Go straight onto E SKY HARBOR BLVD. Take (AZ-143 N) by means of the left ramp going toward 44TH ST. AZ-143 N will become NORTH 44TH ST. RIGHT onto EAST McDOWELL RD. 3 Palms located at 7707 E McDOWELL RD, SCOTTSDALE, AZ. Leave the airport heading west on N Airport Dr. N Airport becomes E Greenway Pkwy. Turn LEFT on N Scottsdale Rd. Stay RIGHT to go onto N Goldwater Blvd. RIGHT onto North Scottsdale Rd. LEFT onto East McDowell Rd. 3 Palms located at 7707 E McDOWELL RD, SCOTTSDALE, AZ. Scottsdale maps are the best way to learn your way around the city you're planning on visiting. Use out Scottsdale interactive maps to plan out your vacation or work trip, from which airport you'll be flying into, to your transportation to and from the 3 Palms hotel. Scottsdale hotel maps are convenient, especially for business guests who may have clients or business partners staying in another hotel in the area. Guests on vacation may have family or friends in the area and these Scottsdale maps will help greatly in finding your way around as you explore Scottsdale. When planning your time away from home for work or play, it's important to learn about where you're going before you go. Take advantage of the Scottsdale maps we've provided to learn about your options for transportation. There are two main airports in Scottsdale and Phoenix metropolitan areas: Phoenix Sky International Airport and Scottsdale Airport. Both airports are featured on our Scottsdale interactive maps and both are located near 3 Palms. When viewing the Phoenix Sky International Airport on the Scottsdale interactive maps, you'll learn this airport is located just 7.9 south of 3 Palms and it's just a 17 minute drive to or from the hotel. Specific driving directions are clearly displayed on our Scottsdale maps page, and for a visual picture, check out the Scottsdale hotel maps to see where 3 Palms is in relation to this airport location. Phoenix Sky International Airport honors flights from 21 different airlines servicing over 104 cities with 1300 flights per day. Each terminal provides a parking garage, car rentals, free shuttle buses, restaurants and shops. When planning your Scottsdale getaway, be sure to check out the Phoenix Sky International Airport information and our Scottsdale maps; it's a great option for your air travel. The other airport option for guests flying in and out of Scottsdale is Scottsdale Airport and you can see on the Scottsdale hotel maps that it's located just 12.4 miles north of 3 Palms. 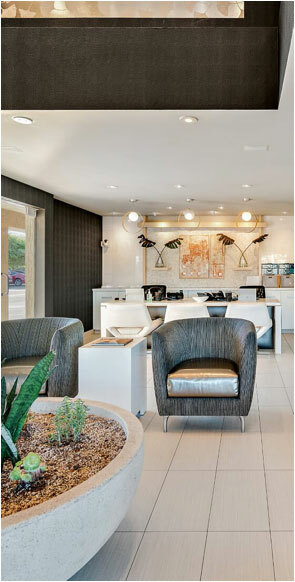 A short 20 minute drive takes guests from this convenient airport to and from downtown Scottsdale. Flying over 10,000 passengers per year, this is one of the busiest single-runway airports in the country. Guests flying to and from Scottsdale Airport will enjoy the best flying weather nearly year-round with an average temperature of 70 degrees. When planning your Arizona trip, be sure to check out this airport on our Scottsdale maps to see just how convenient its size and location are. Regardless of where you're coming from, our Scottsdale maps will be extremely helpful in planning out your vacation or work trip. Two airports are featured on the Scottsdale interactive maps, showing the distance in miles and how long it takes to get to and from them to 3 Palms. Driving directions, information on shuttles, car services and public transportation are all included in the Scottsdale maps information. Visually scope out how far each airport is to 3 Palms and the surrounding hotels in the area, on the Scottsdale hotel maps, and see how far attractions, restaurants, malls and recreational locations are as well. Make the most of your time spent in Scottsdale by learning about the area by using our helpful Scottsdale maps.